This book aims to help data miners, researchers, scholars, and PhD students who wish to apply data mining techniques. The primary contribution of this book is highlighting frontier fields and implementations of the knowledge discovery and data mining. It seems to be same things are repeated again. But in general, same approach and techniques may help us in different fields and expertise areas. 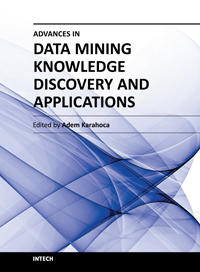 This book presents knowledge discovery and data mining applications in two different sections. As known that, data mining covers areas of statistics, machine learning, data management and databases, pattern recognition, artificial intelligence, and other areas. In this book, most of the areas are covered with different data mining applications. Adem Karahoca is a professor Turkeyat Department of Software Engineering, Bahcesehir University, Istanbul, Turkey.